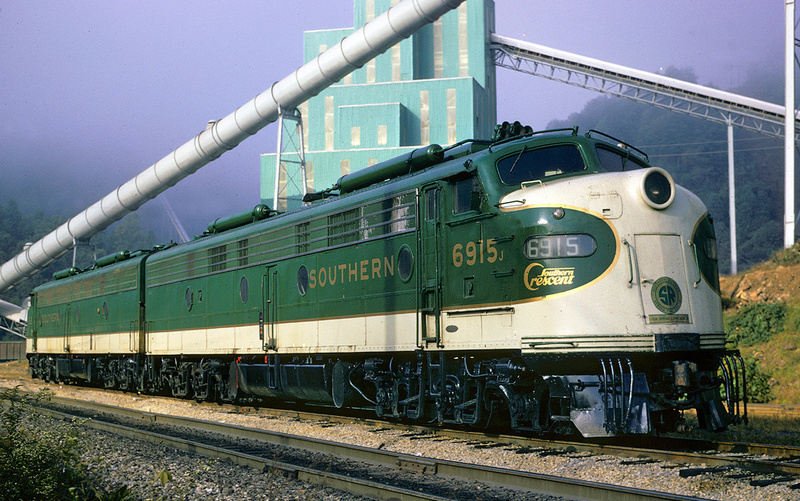 The EMD SD18 was the builder's third entry of its six-axle, "Special Duty" locomotive line. The model proved to be one of EMD's big disappoints of the era, on par with the BL2, although its lackluster sales performance can partly be contributed to the fact that most railroads at the time still preferred the four-axle Geeps, like the phenomenally successful GP7 and GP9. Ironically, the SD18 sold better to foreign lines than domestic railroads. The locomotive was also the first of the Electro-Motive Division's six-axle models to be offered in a low nose version (similar to the GP20 being the first offered with the feature). Interestingly, despite the SD18's poor sales performance a few models still roam the rails today on shortlines. 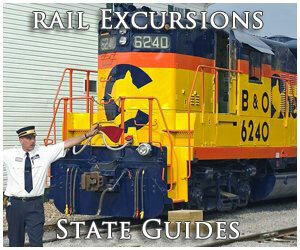 Additionally, at least three SD18s are known to be officially preserved including; Chesapeake & Ohio #1810 at the Southern Appalachian Railway Museum, C&O #1818 at the Hoosier Valley Railway Museum, and Duluth Missabe & Iron Range #193 at the Lake Superior Railroad Museum. 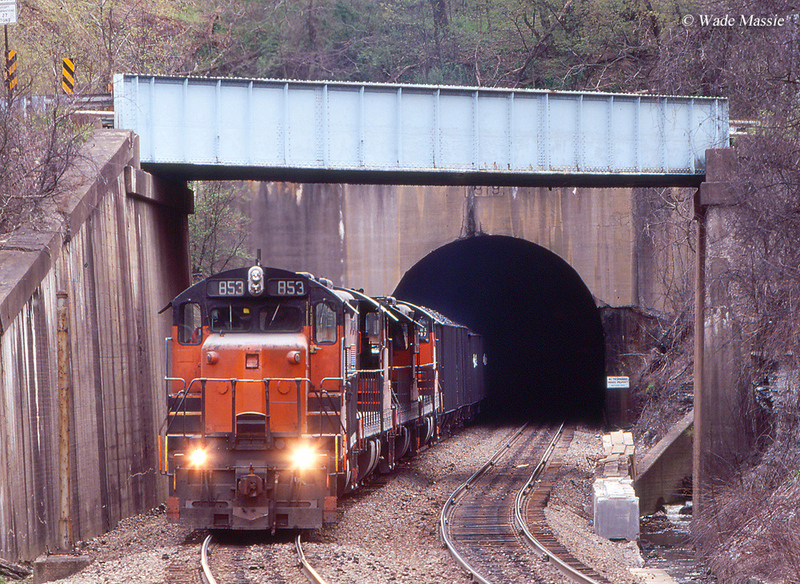 The EMD SD18 followed the SD9 beginning production in the spring of 1960. It utilized one of General Motors' final variants of its original prime mover, the 16-cylinder model 567D1. This engine could produce 1,800 horsepower (50 horsepower more than the SD9) and was the powerful of the early six-axle models EMD produced. Also, using GM's D47 traction motors the SD18 could produce a healthy 67,500 pounds of continuous tractive effort and more than 97,000 pounds of starting tractive effort. 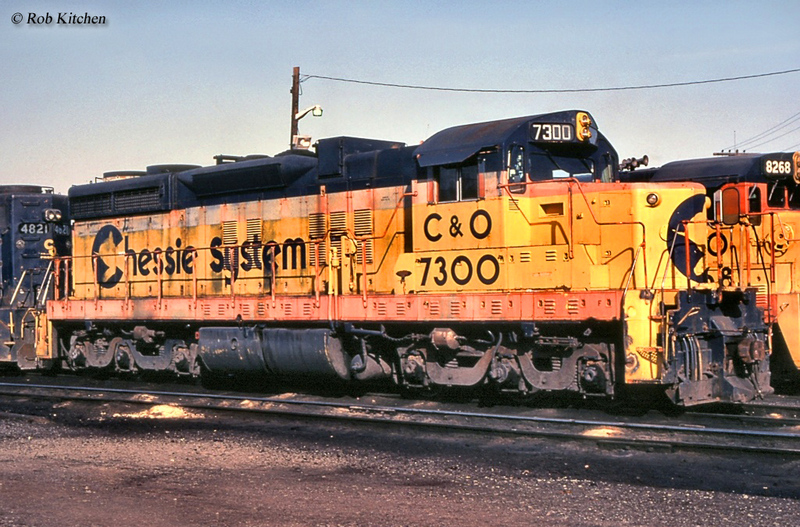 Interestingly, while the locomotive offered the most starting effort of any early six-axle model its continuous rating was actually some 8,000 pounds less than the SD9 which offered 75,000 pounds. 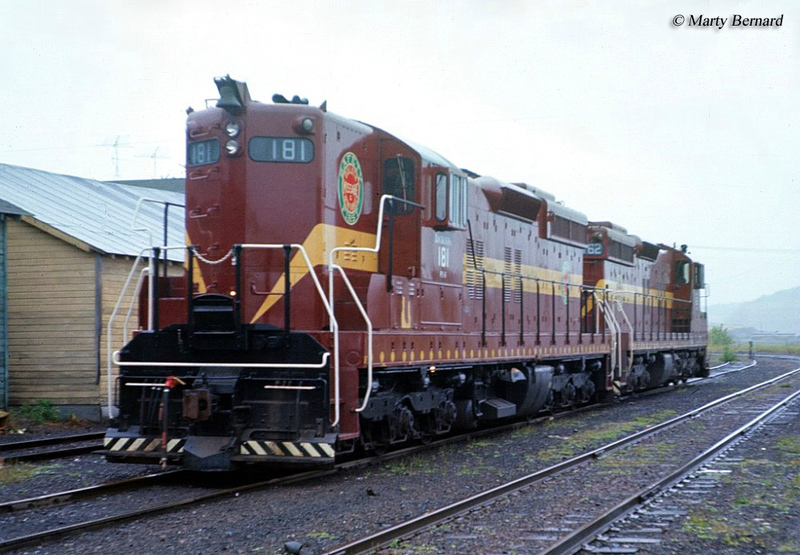 At just over 60 feet in length the SD18 was the same as its predecessors although it weighed somewhat more, 195 tons. While the SD7 and SD9 came relatively standard with the short, high hood carbody design the SD18 could be purchased with an optional low nose. Essentially, however, the SD18 looked nearly identical, visually, to its predecessor models. 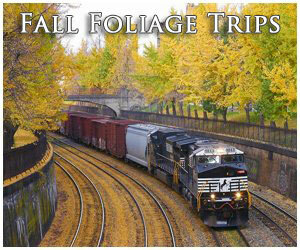 Despite a sales record that topped out at just 54 units domestically, another 60 were purchased by foreign railroads. Interestingly, this time the Southern Pacific was not interested in EMD's latest six-axle locomotive as it did not buy a single SD18 unit. 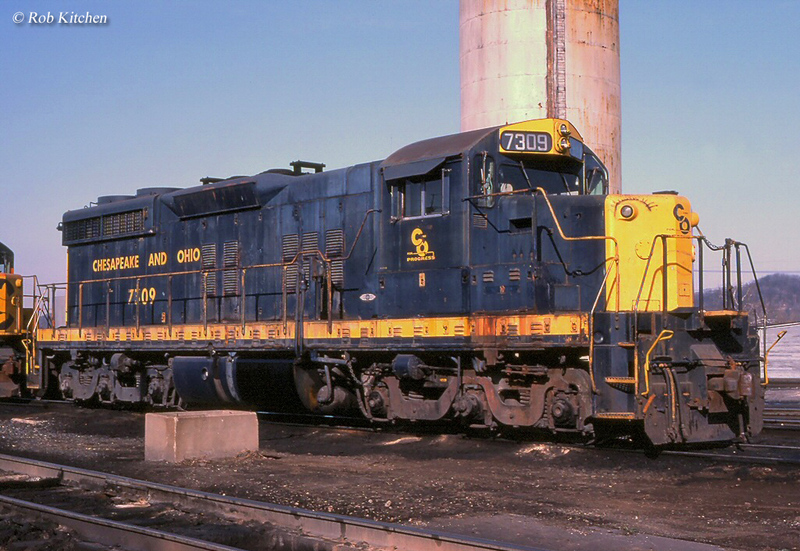 When the builder had released the SD7 and SD9 the company had purchased some 192 examples of both, combined. Of course, considering that the locomotives were used on the SP's steep and circuitous branch lines in Oregon it quite likely no longer needed any new power to serve those regions. 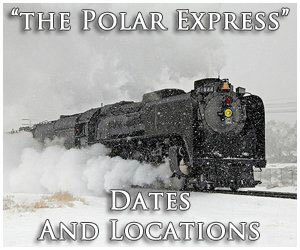 The American railroads who would purchase the SD18 included the Bessemer & Lake Erie (7, numbered 851-857), Chesapeake & Ohio Railway (19, numbered 1800-1818), Chicago & Illinois Midland Railway (2, numbered 60-61), Duluth, Missabe & Iron Range (19, numbered 175-193), and Reserve Mining (7, numbered 1226-1232). The foreign systems to pick up the locomotive included the Rede Ferroviária Federal, Sociedade Anônima (RFFSA) of Brazil (45, numbered 3401-3445) and the Korea National Railroad (15, numbered 6001-6015). 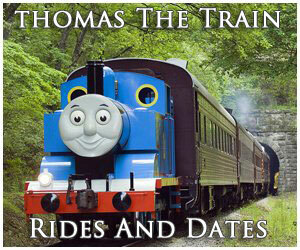 Production of the locomotive had ended by March, 1963. 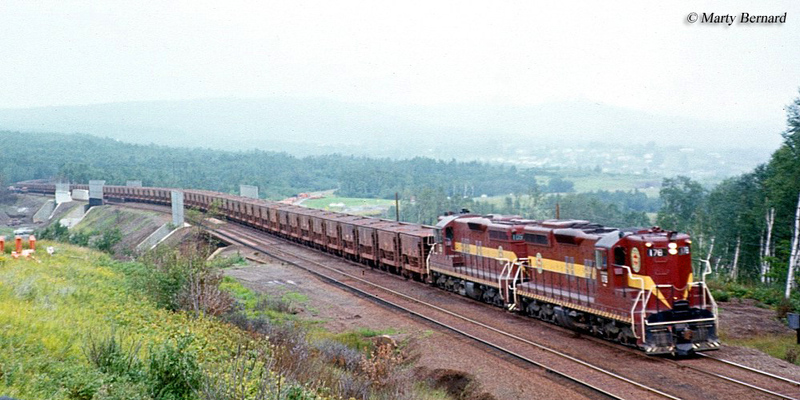 EMD actually had better sales with the SD24 produced at the same time, which sold more than 200 examples (including B units), likely due to the vast increase in horsepower it offered. 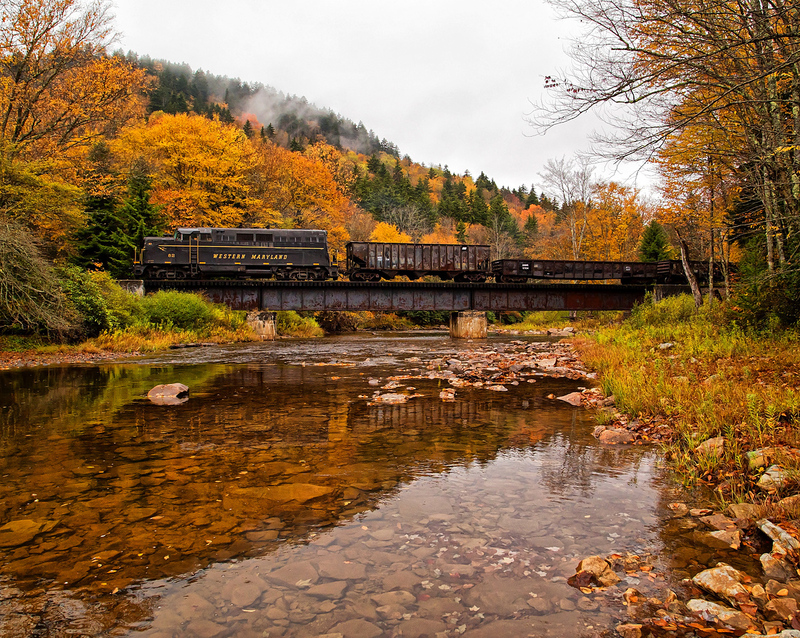 In any event, sales for six-axle locomotives would continue to sputter along for the company until the mid-1960s and the SD40. 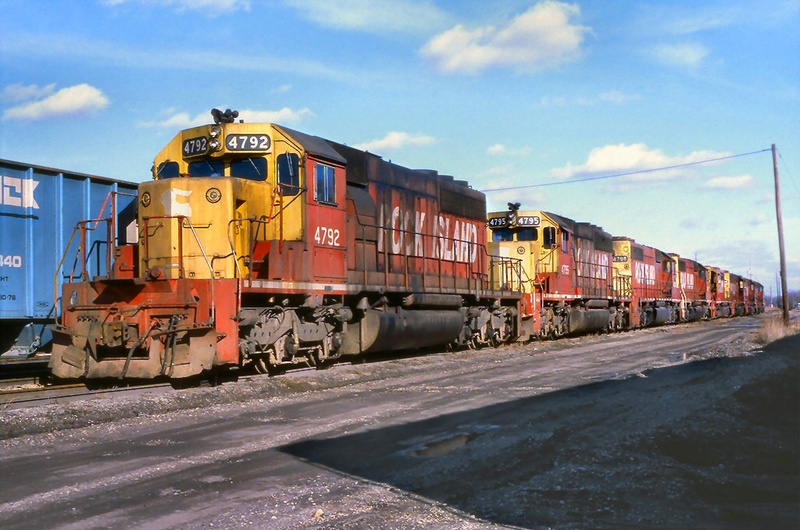 You can still find EMD SD18s in service with several short lines including the South Branch Valley Railroad, North Shore Mining, DM&IR/Canadian Pacific, Shelly Materials, Larry's Truck & Electric (in storage), Illinois & Midland Railroad, Northern Illinois & Wisconsin Railway, AG Processing, Ottawa Valley Railway, RailLink, and some of the fleet shipped to Brazil continues to be used in regular service.